2018：Haidong City ecological plan for Huangshui River Basin; Honorable Mention in the Analysis and Planning category in IFLA Africa, Asia Pacific and Middle East (AAPME) award. 2018：Haidong City ecological plan for Huangshui River Basin; 1st price 8th Yuan Ye Award International Competition. 2018：Concept masterplan Slow traffic design Hualong County; 2nd price 8th Yuan Ye Award International Competition. 2011: INVERSION: from Urban Divide to Interface; entry for the FORMCities competition, organized by the Jackson Community Design Center in the USA. 2010: Veranderende Tijden; entry for the competition ‘De knopen van de Drechtsteden’. 2008: urban plan Monster Duingeest; first place; in cooperation with Rabo Bouwfonds, development/ design competition. 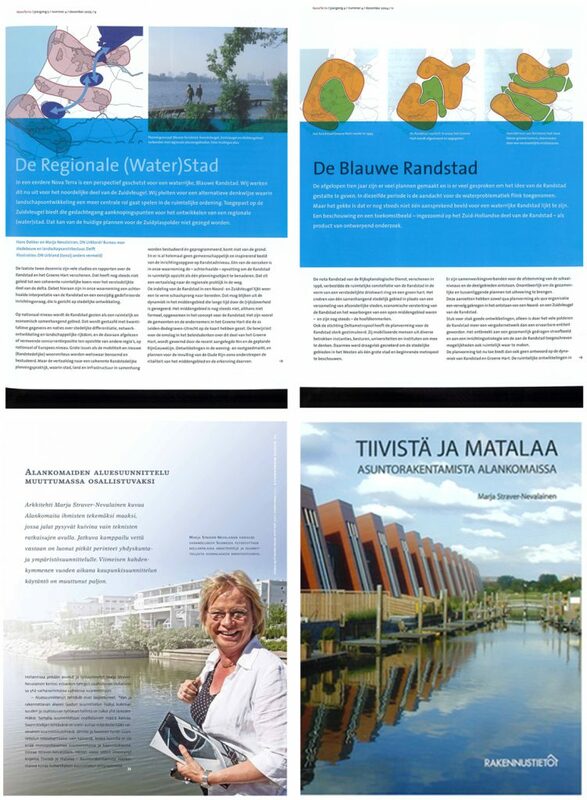 2007: development plan Kudelstaart, Aalsmeer 2007; First place/ winner; in cooperation with BAM, development/ design competition. 2006: Jack the Kribber, entry for the design competition for innovative River breakers; tied first place.